1, 2 & 3. 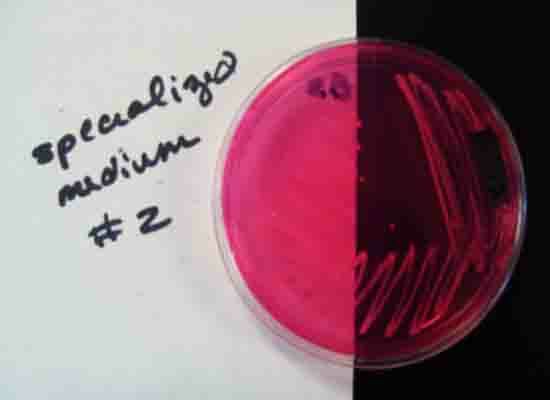 Liquid Tryptic Soy Agar TSY with bacterial growth (floculate); 4 & 5. 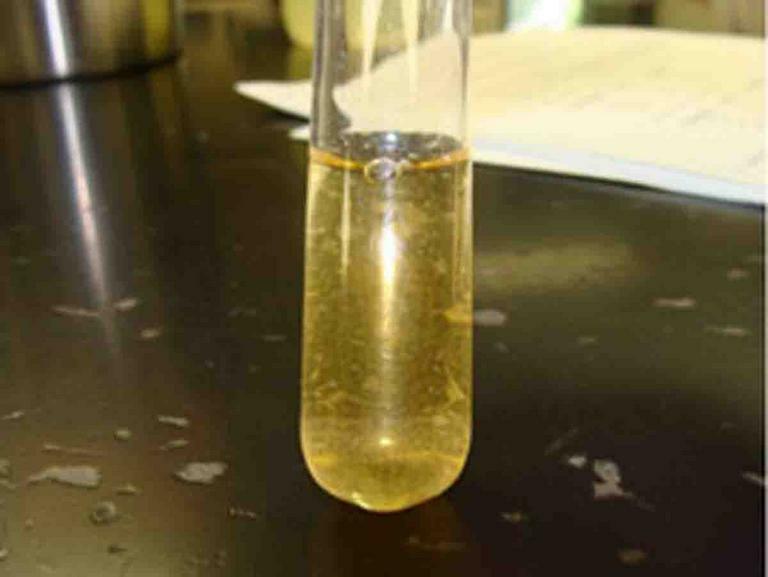 Sterile liquid growth medium. 1. 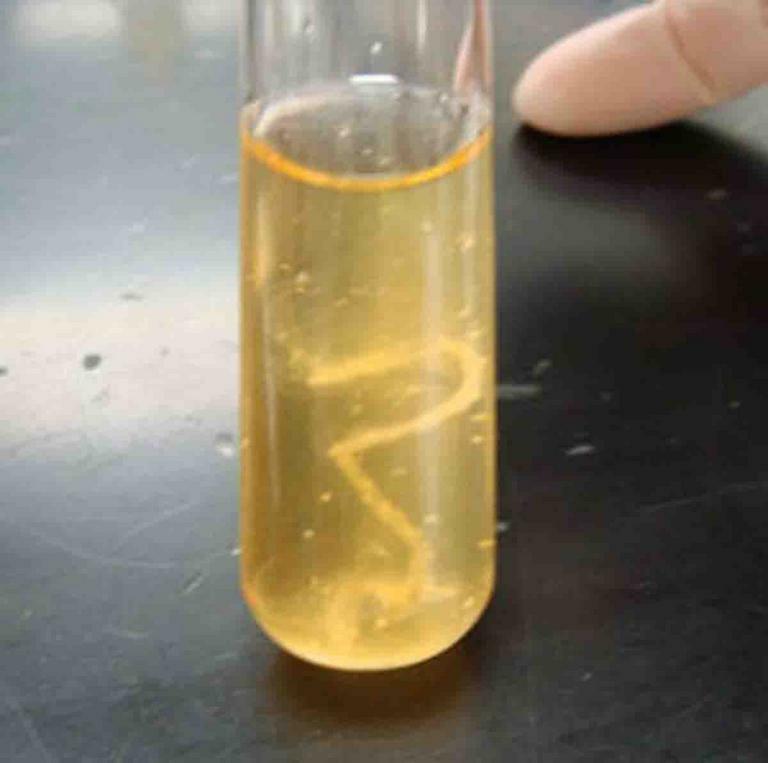 Slant tube of TSY agar growing Staphylococcus epidermidis; 2. 3. & 4. 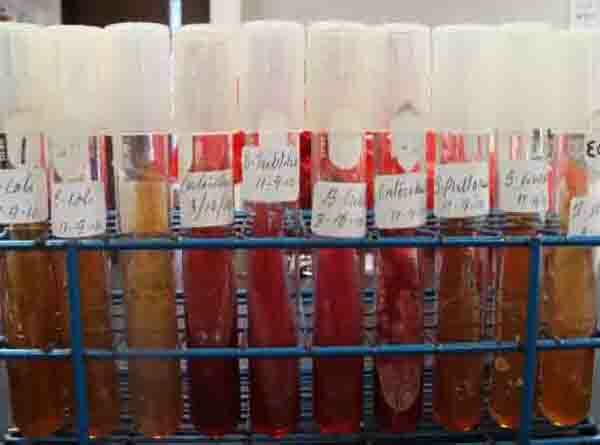 Slant tubes with various solid media and bacterial growth; 5. 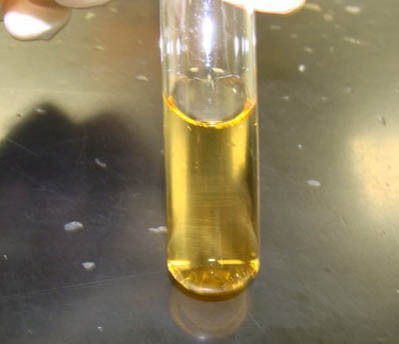 Slant tube of Enterococcus bacteria. 1. 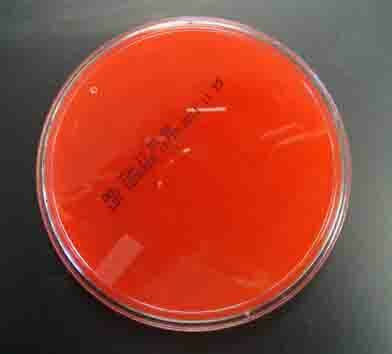 Plate of sterile Blood Agar. 2. 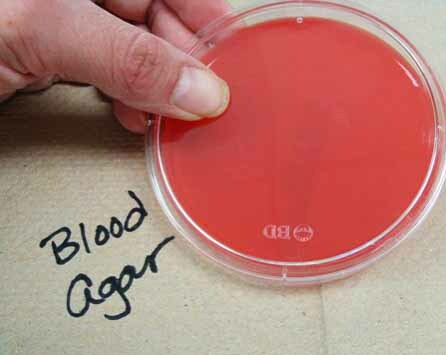 Beta hemolysis from throat swab sample plated on Blood agar = Streptococcus pyogenes. 3 & 4. 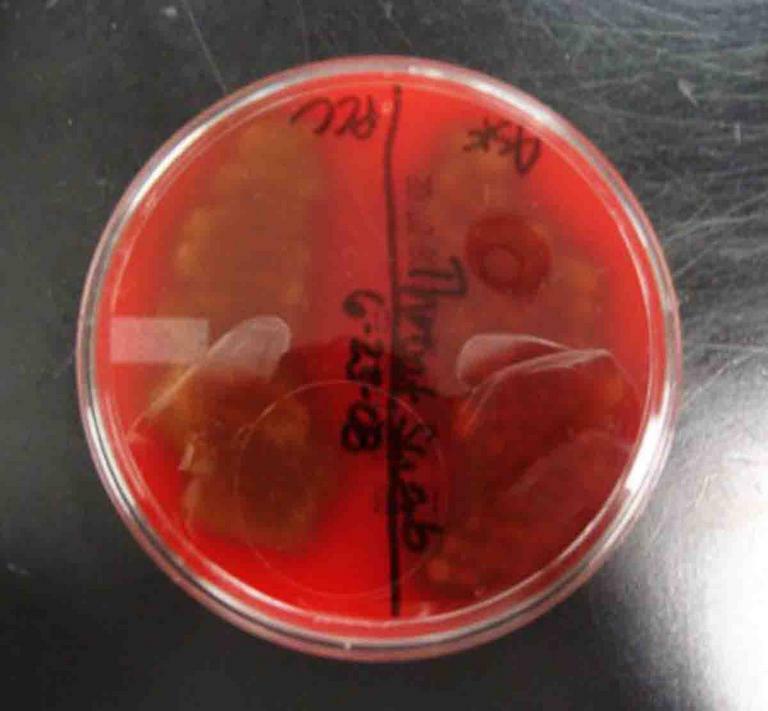 Alpha-hemolysis on Blood Agar, viewed from top of plate (3) and underside (4). 5. 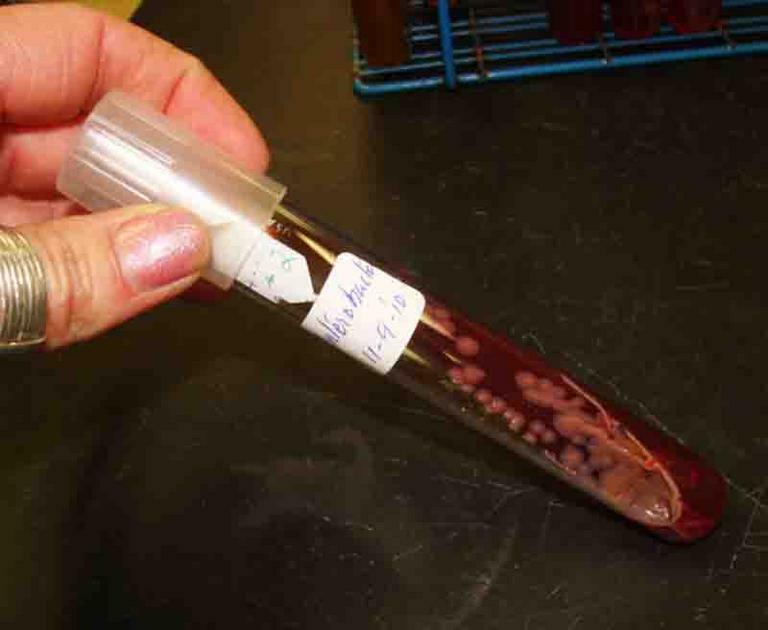 What gamma-hemolysis would look like viewed from underside of plate. 1. 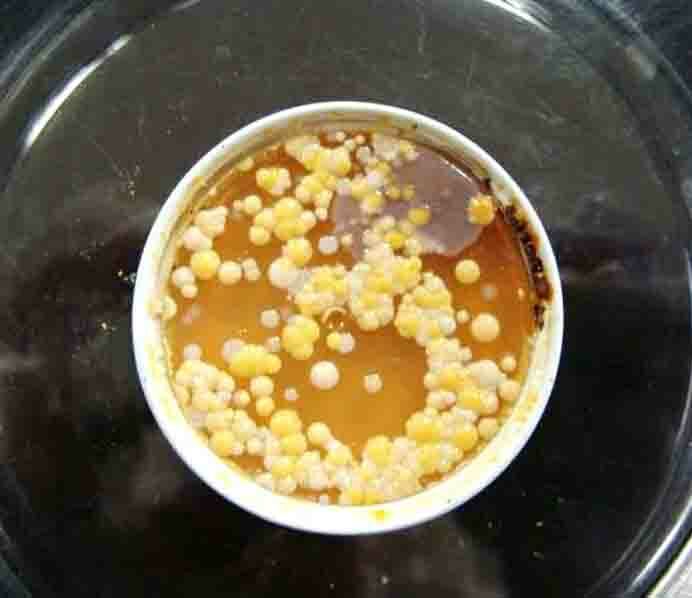 Sterile Mannitol Salt Agar. 2. 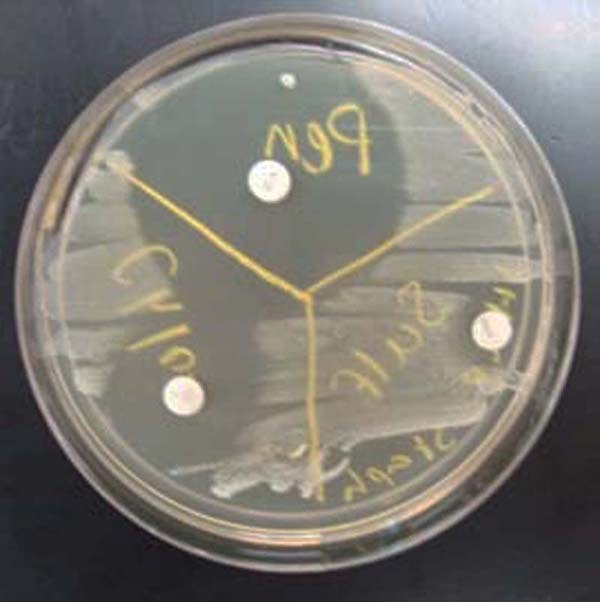 MSAr plates with bacterial growth. 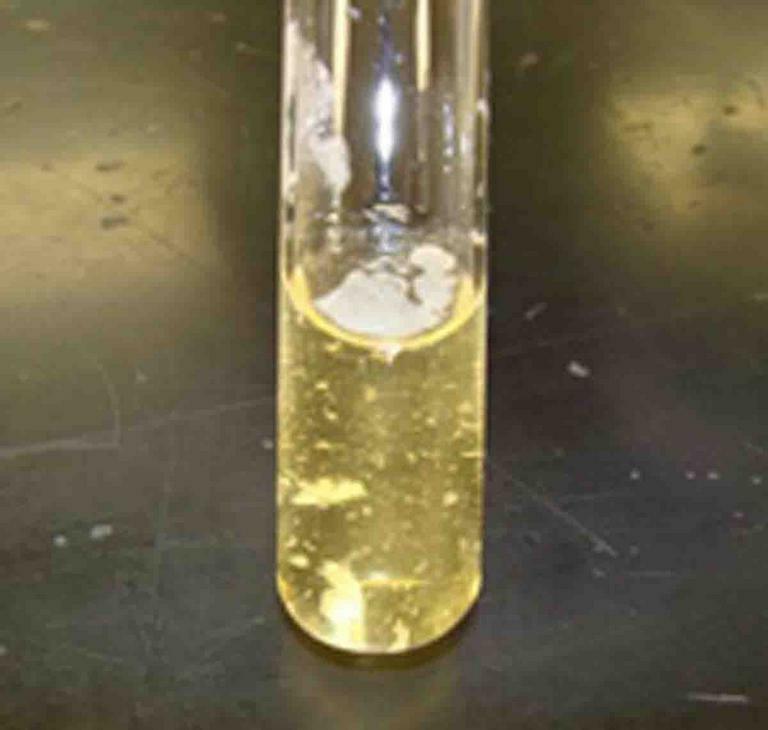 Mannitol+ pathogen left, Mannitol- normal flora right. 3. 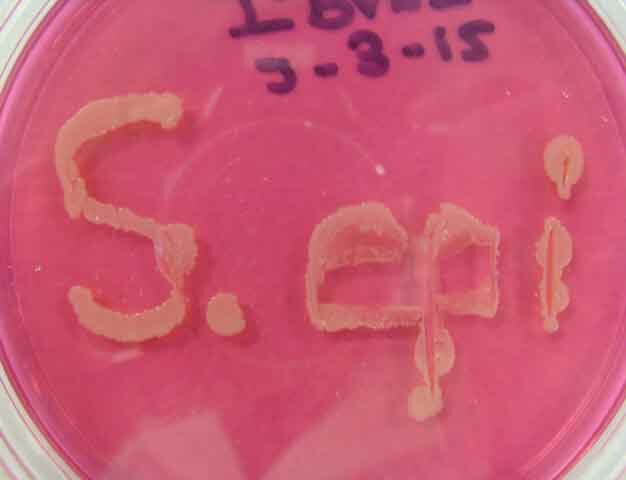 S. epi written in mannitol negative Staphylococcus epidermidis and growing on MSA. 4. 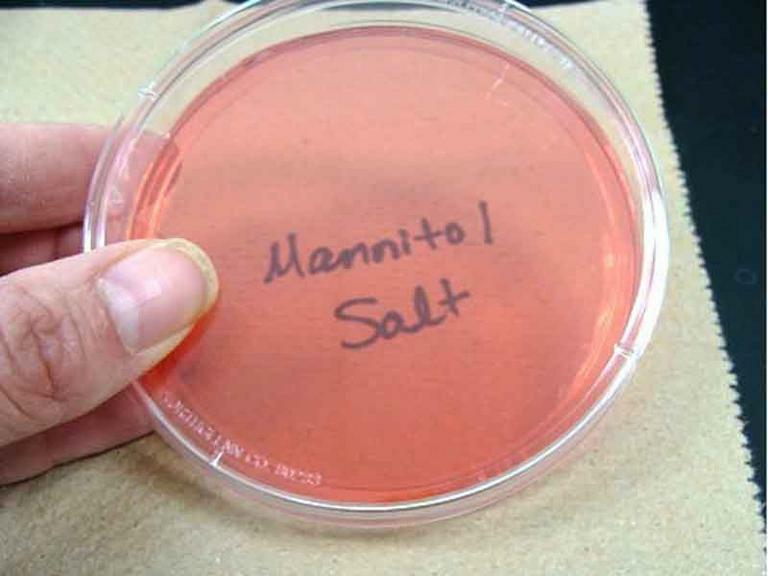 Mannitol Salt Agar viewed from top. 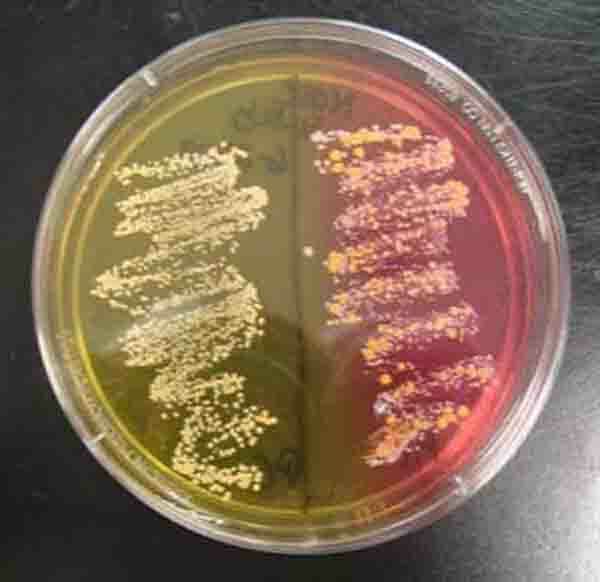 Yellow side of plate growing mannitol+ pathogen Staph aureus. 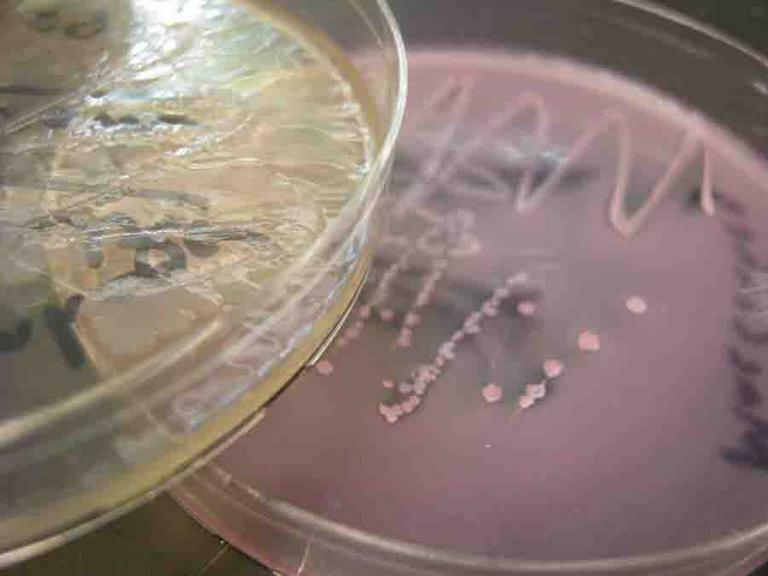 Pink side of plate growing mannitol- normal flora Staph epidermidis. 5. 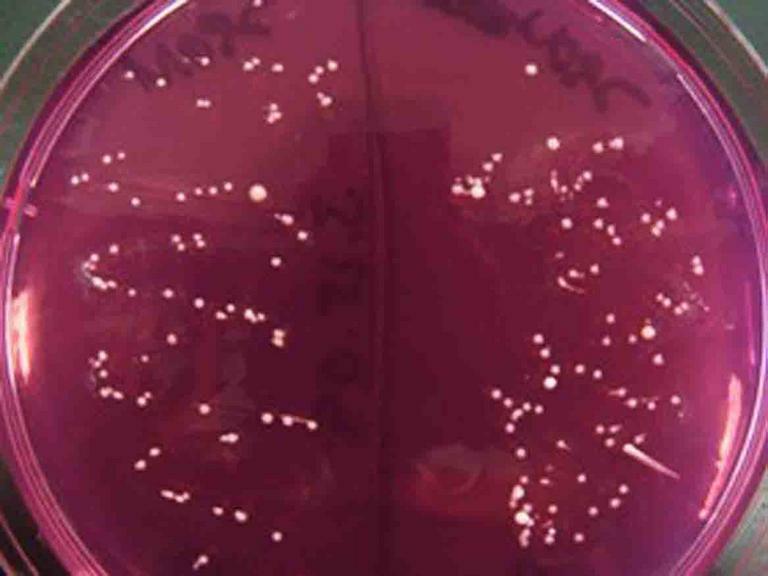 Mannitol-negative Staph epi growing in punctiform colonies on MSA. 2. 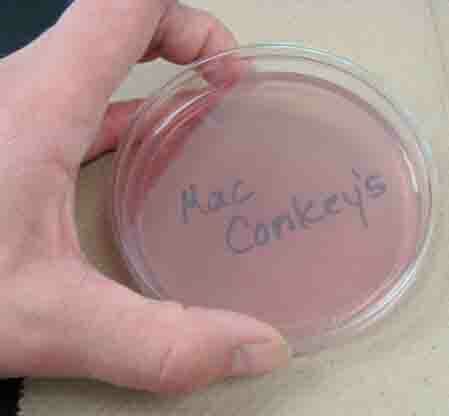 MacConkey's Agar growing Gram-negative bacteria. 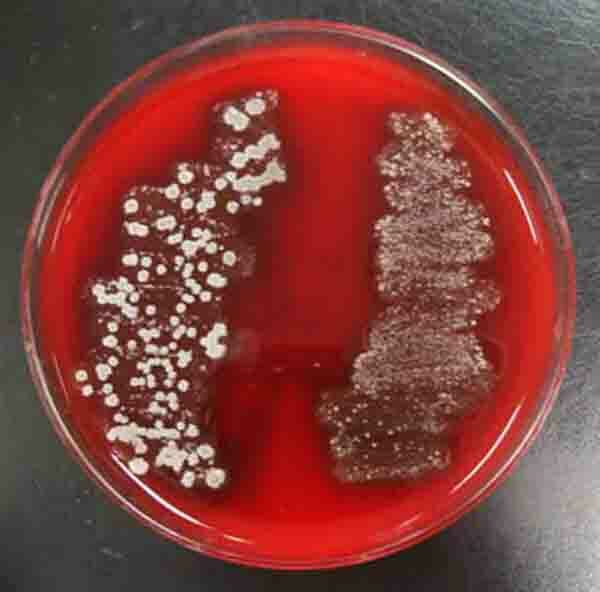 Left plate growing lactose-negative Salmonella, right plate growing lactose-positive E. coli. 3. 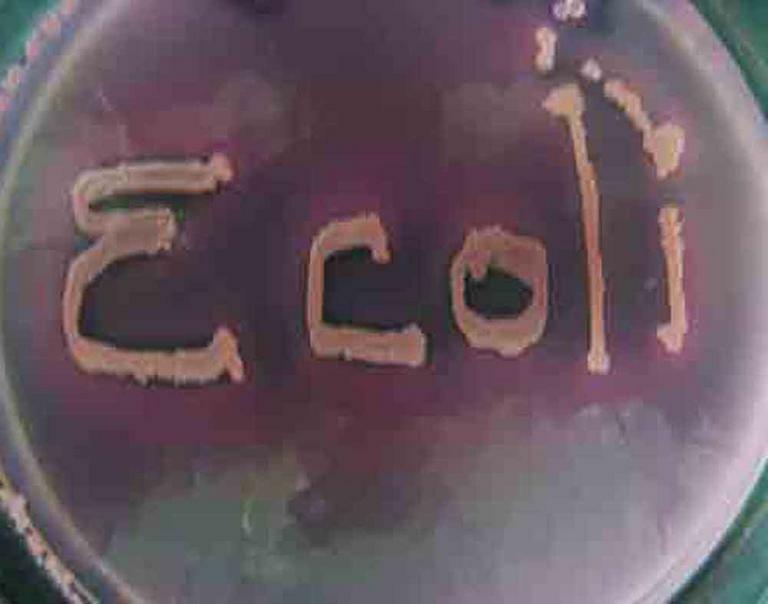 "Ecoli" written on MAC using Lac+ E. coli bacteria. 4. 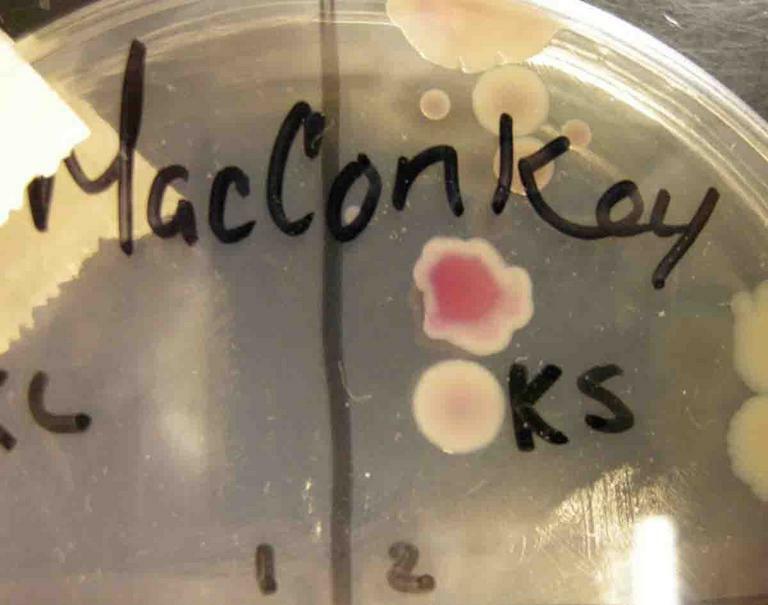 Pink, lac+ colony growing on MAC. 5. 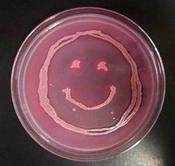 Smiley face of lac+, Gram- bacteria growing on MAC. 1. 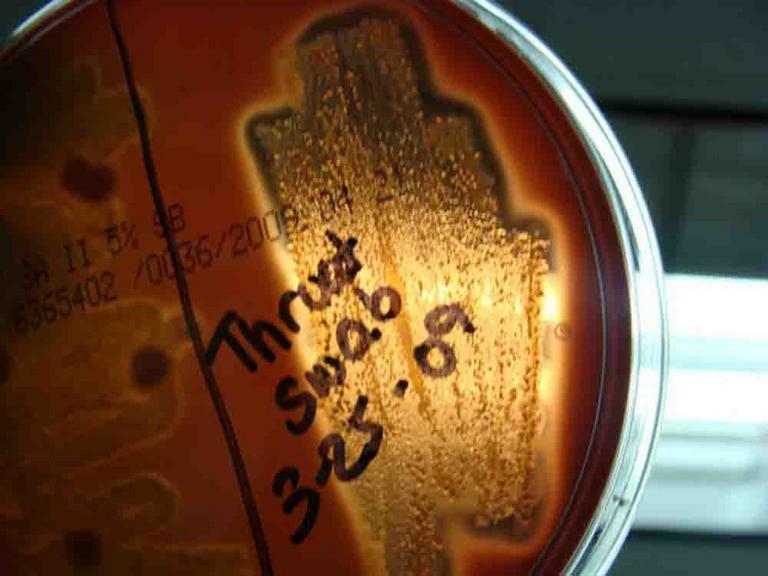 Arm plate of TSY growing normal flora colonies of bacteria; 2. 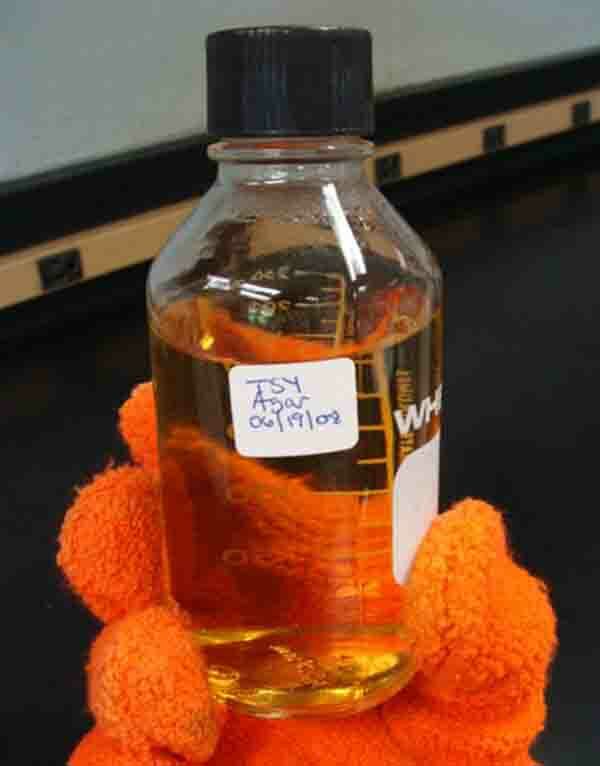 Warm sterile TSY as liquid in bottle; 3. 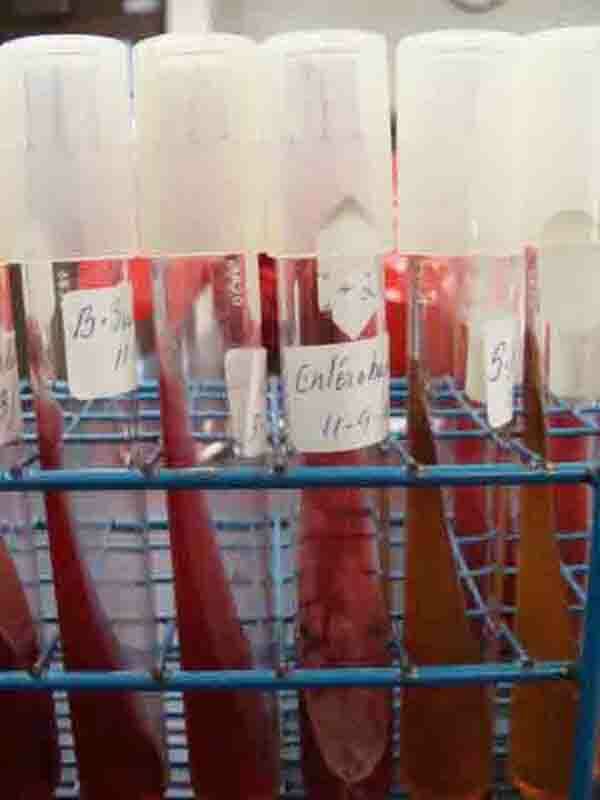 Plate of TSY agar and inuculation loop; 4. 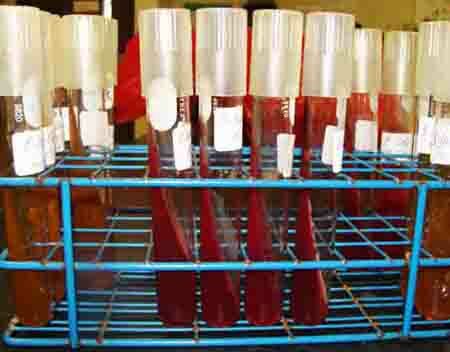 Plate of TSY agar & swab; 5. 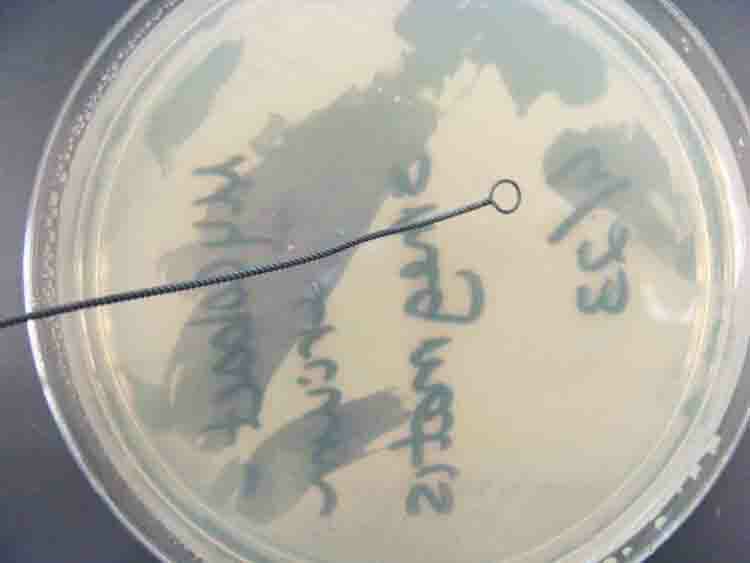 Antibiotic zones of inhibition on TSY agar growing Staphylococcus. 1. 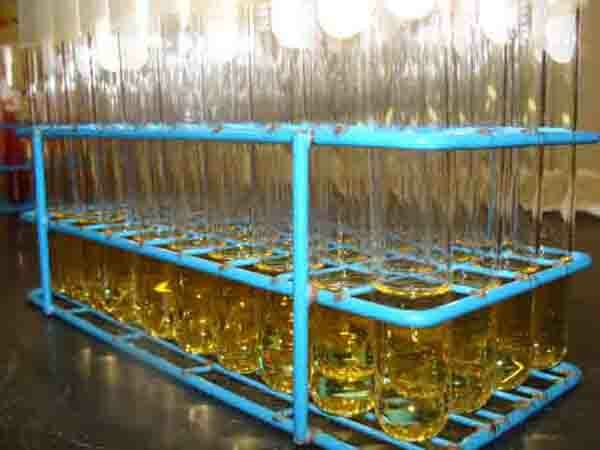 Obtain sterile agar from warming oven. 2. 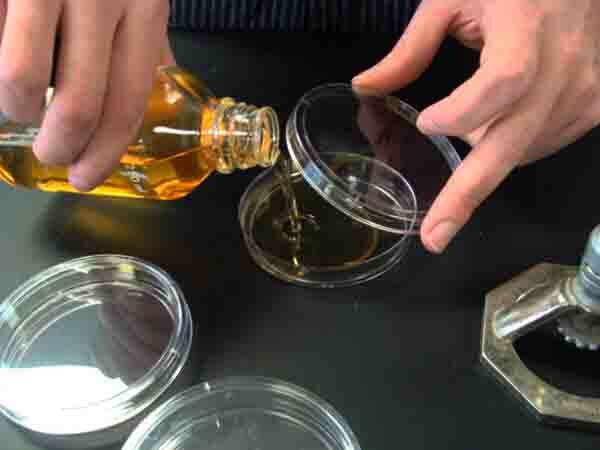 Remove cap and hold it, opening pointed down to avoid contamination. 3. Flame neck of bottle. 4. Pour 1/4" of agar into bottom of Petri plate. Only open lid as far as necessary. 5. 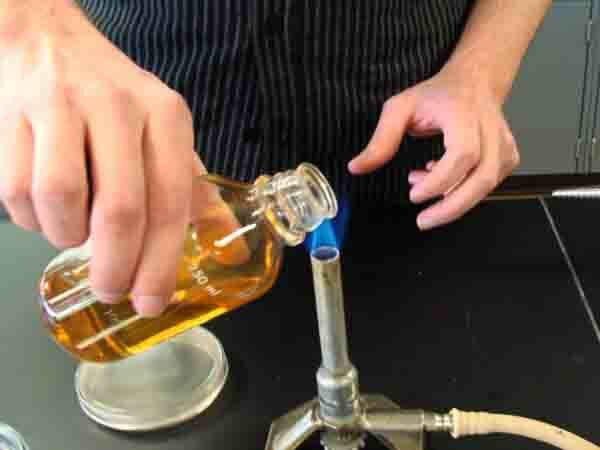 Flame neck of bottle, replace cap, and return bottle to warming oven. 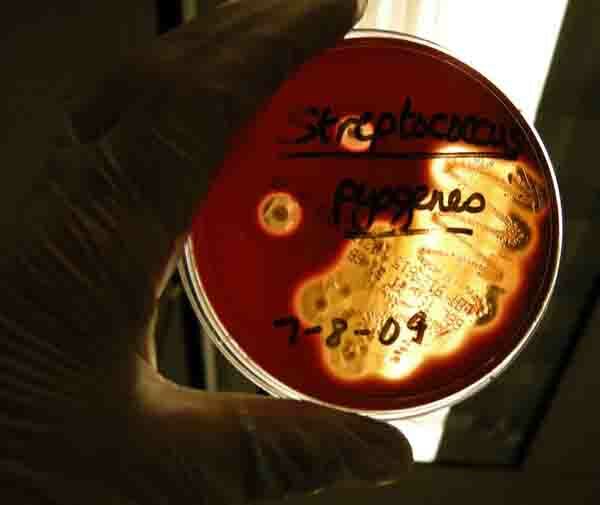 ​​The Microbiology Image Library is the largest photo collection on the SPO site. To help you more easily find what you're looking for, select the "See more" link of the sub-topic below that corresponds to your interests or use the search boxes to search our site. The SPO Science Image Library is a continuously growing collection of free science photographs. If you use one of our free, low-res images, we just ask that you give us credit and provide a link to the SPO website (scienceprofonline.com). Click on an image to enlarge it. To save a photo to your computer, right click on it and select "Save". 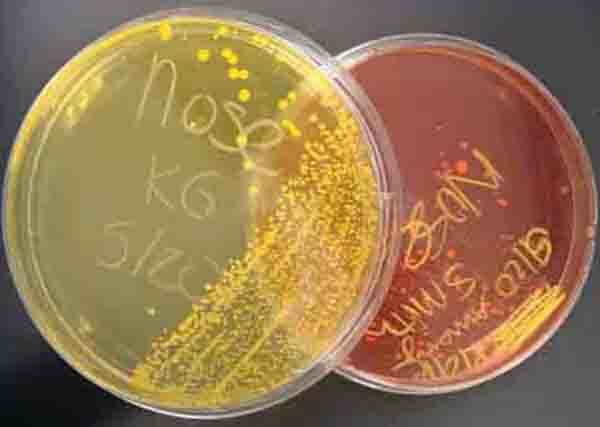 Comparison of Liquid & Solid Bacterial Growth Media "class notes"article from Science Prof Online. 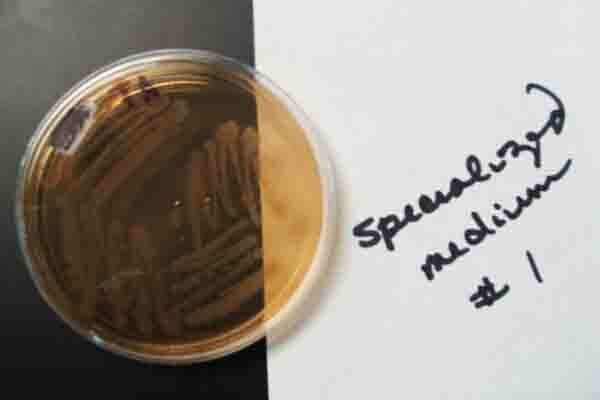 Aseptic Technique to Pour Bacterial Growth Media Into Petri Dishes "class notes"article. 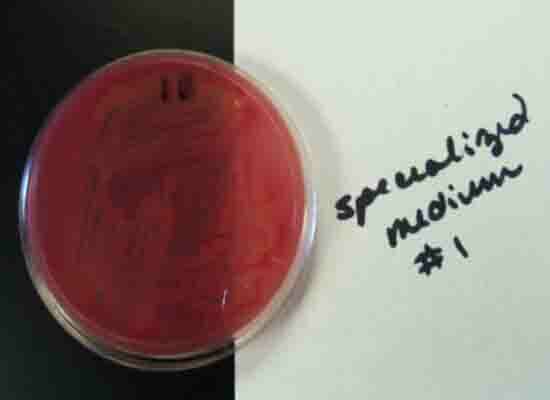 Differential & Selective Bacterial Growth Media "class notes" article. 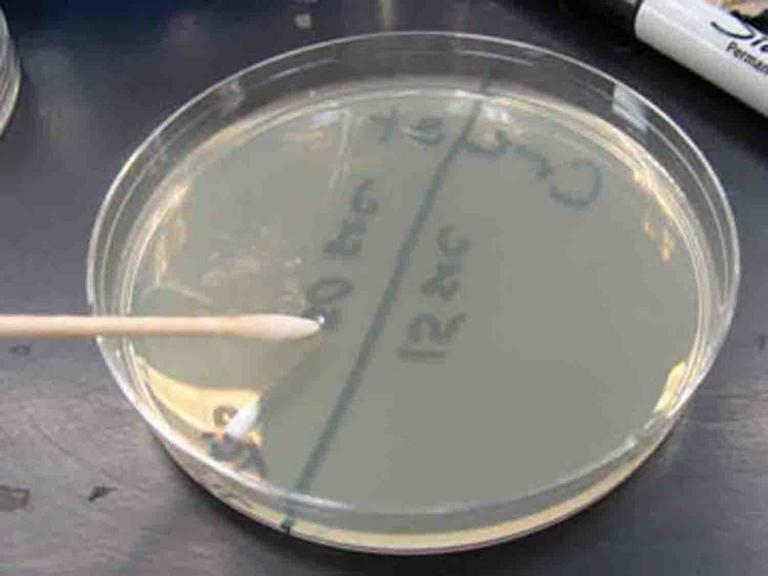 Types of Culture Media for Growing Bacteria "class notes" article. 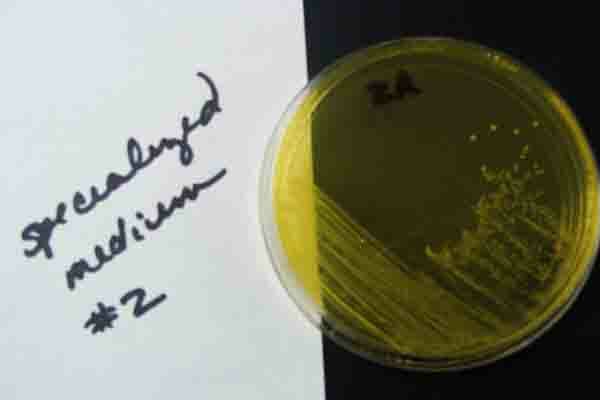 Differential & Selective Bacterial Growth Media Laboratory Exercise Main Page from the Virtual Microbiology Classroom. 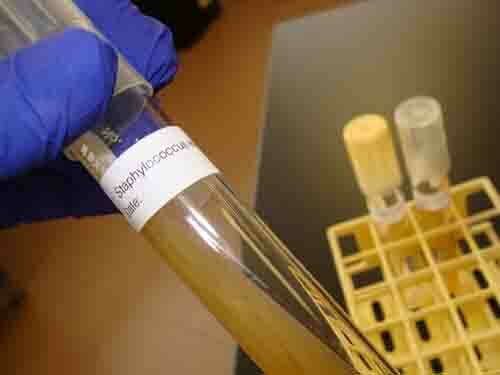 Bacterial Growth Media & Cultures Laboratory Exercise Main Page.